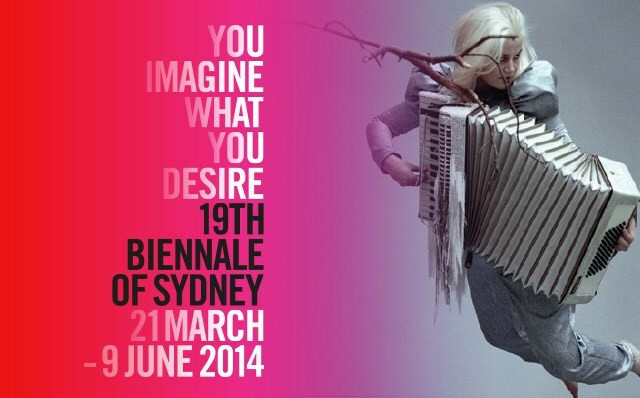 The Artistic Director of the 19th Biennale of Sydney Juliana Engberg has unveiled the preview artist list for the international contemporary art exhibition that will run from 21 March until 9 June 2014. ‘It reminds us that powerful art is not divorced from the cultural conditions, political, social and climatic environments in which it is generated. That indeed it often exists to provide a meta-commentary on these aspects of society – and even, sometimes, act as an antidote and proposition. As a future vision. Yael Bartana, Ulla von Brandenberg, Mircea Cantor, David Claerbout, Yingmei Duan, Krisztina Erdei, Douglas Gordon, Henna-Riikka Halonen, Roni Horn, Mikhail Karikis, Laurent Montaron, Agnieszka Polska, Augustin Rebetez, Maxime Rossi, Wael Shawky, John Stezaker, Corin Sworn and Tori Wrånes.